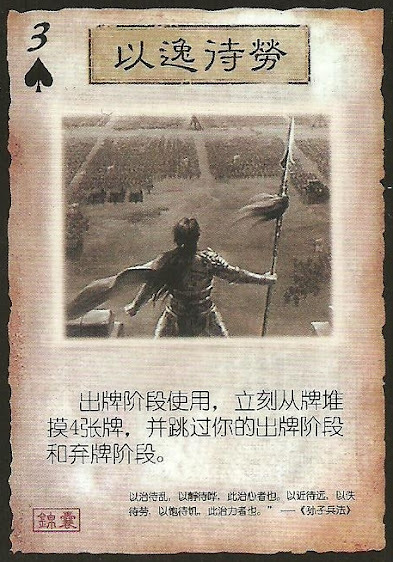 At the beginning of a player's action phase they can play this card. They then draw four cards, and their turn ends. This must be the first card used during an action phase. Negates could be used beforehand in the judgment phase, but this must be the only card played after the drawing phase. After playing this, a player loses the rest of their action phase and their discard phase. The player does not need to discard at the end of their turn when using this.